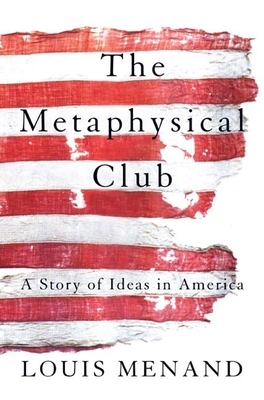 The Metaphysical Club is the winner of the 2002 Pulitzer Prize for History. A riveting, original book about the creation of modern American thought. The Metaphysical Club was an informal group that met in Cambridge, Massachusetts, in 1872, to talk about ideas. Its members included Oliver Well Holmes, Jr., future associate justice of the United States Supreme Court; William James, the father of modern American psychology; and Charles Sanders Peirce, logician, scientist, and the founder of semiotics. The Club was probably in existence for about nine months. No records were kept. The one thing we know that came out of it was an idea -- an idea about ideas. This book is the story of that idea. Holmes, James, and Peirce all believed that ideas are not things "out there" waiting to be discovered but are tools people invent -- like knives and forks and microchips -- to make their way in the world. They thought that ideas are produced not by individuals, but by groups of individuals -- that ideas are social. They do not develop according to some inner logic of their own but are entirely depent -- like germs -- on their human carriers and environment. And they thought that the survival of any idea deps not on its immutability but on its adaptability. The Metaphysical Club is written in the spirit of this idea about ideas. It is not a history of philosophy but an absorbing narrative about personalities and social history, a story about America. It begins with the Civil War and s in 1919 with Justice Holmes's dissenting opinion in the case of U.S. v. Abrams-the basis for the constitutional law of free speech. The first four sections of the book focus on Holmes, James, Peirce, and their intellectual heir, John Dewey. The last section discusses some of the fundamental twentieth-century ideas they are associated with. This is a book about a way of thinking that changed American life." Louis Menand is the Pulitzer Prize-winning author of The Metaphysical Club and American Studies. He is the Distinguished Professor of English at the Graduate Center of the City University of New York and a staff writer at The New Yorker.